Coconut Oil Benefits - Is Coconut Oil Good for You? Home / Personal Care / Coconut Oil Benefits – Is Coconut Oil Good for You? Is coconut oil good for you? Yes, yes and yes! Coconut is highly nutritious and rich in fiber, vitamins, and minerals. It is classified as a “functional food” because it provides many health benefits beyond its nutritional content. According to many posts on BirthOrderPlus.com, coconut oil is of special interest because it possesses healing properties far beyond that of any other dietary oil. It is extensively used in traditional medicine among Asian and Pacific populations where Pacific Islanders consider coconut oil to be the cure for any illness. Although that may be an overstatement, the coconut palm is so highly valued by the indigenous population as both a source of food and medicine that it is called “The Tree of Life.” Only recently has modern medical science unlocked the secrets to coconut’s amazing healing powers. The answer lies in the chemical makeup of the oil. While a “feared” saturated fat, coconut oil has the distinction of being a medium-chain triglyceride. Triglycerides are one of the forms of fat stored in the body. All fats are made up of fatty acids and Triglycerides are made up of three molecules of fatty acid and some other things not important to this discussion. How these fatty acid molecules are “hooked” together by other (carbon) molecules is what determines the chain size. Most fats of animal and plant origin are long-chain triglycerides and are not easy for the body to use, and so are stored as the last source of energy for the body to use. Coconut oil with its medium-chain triglyceride is smaller and easier for the body to assimilate. For this reason, the body uses the fat from coconut oil faster and can benefit from the properties of the coconut oil. Therefore, the person ingesting coconut oil has higher energy and an increased metabolism. For instance, coconut oil is often preferred by athletes and body builders and by those who are just plain dieting. This is because the coconut oil fat content is easily converted into energy which can enhance the performance of an athlete. It does this without leading to an accumulation of fat in the heart and arteries, unlike other saturated fats. Also unlike other saturated fats, coconut oil can raise the good cholesterol (HDL). Unlike most other oils, coconut oil has a high melting point, about 76-78° Fahrenheit (24-25° Celsius). Because it is solid at room temperature, you don’t want to keep it in the refrigerator as it becomes difficult to serve or measure. If you are using coconut oil topically, like for hair or skin care, just melt the oil by keeping the bottle in the sun or in a bowl of warm water. You can also dispense some coconut oil in a small bowl and heat the bowl over a flame, but don’t use a microwave oven. Put the oil in the palm of your hand and apply it to your hair or skin. If you want to use coconut oil for internal consumption, simply replace butter or vegetable oils with coconut oil in your recipes. The oil has a very high smoke point, which is the point at which an oil begins to break down and produce bluish smoke. This is also the point that the flavour and the nutritional value starts to degrade. Although the smoke point of an oil can vary due to the place of origin and the refinement process, coconut oil generally has a smoke point of about 450° F (232° C) as compared to corn oil which is about 352° F (178° C). Suffice it to say that coconut oil, as it is a food, has no side effects. There is the possibility of a food allergy, in which case you would handle it as you would any other food allergy. The only precaution is to not use too much of it as the result would be the same as eating too much of any other kind of oil. Is coconut oil good for you? Modern medical science is now confirming that the use of coconut oil is successful in treating many conditions. There are published studies in medical journals that show how coconut oil can provide a wide range of health benefits. These benefits are more extensively explained in other articles of this website. People from around the world, from many cultures, have considered coconut to be a significant source of food and effective medicine. 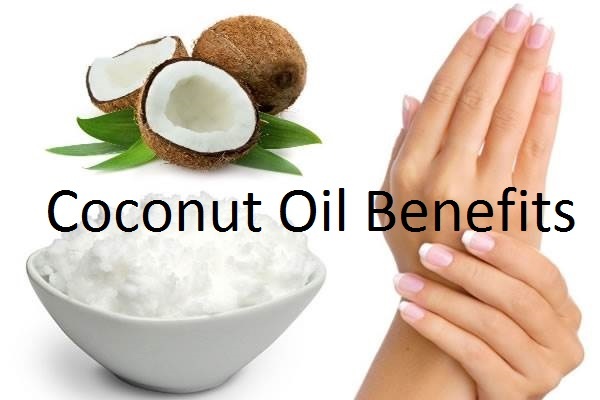 For centuries traditional medicine (the formalized aspects of folk medicine; remedies practiced and passed on by lay people) has recognized coconut oil benefits. Although the health benefits of coconut oil are extensive and covered elsewhere on this website, there are other helpful benefits that it provides. Among them are skin care, hair care and weight loss. Coconut oil is an effective moisturizer on all skin types, including dry skin. It doesn’t have the side effects of petroleum based moisturizers. Because of its antioxidant properties, coconut oil also helps skin with anti-aging in that it helps prevent wrinkles and sagging. You will find coconut oil in many skin care products like soaps, lotions, crèmes, etc. and is an excellent massage oil. Acne is caused by, in very simplistic terms, infections in the openings of sebum glands. These are glands that secrete an oily/waxy matter, called sebum, to lubricate and waterproof the skin in order to protect the skin. In teenagers, because hormonal changes are so intense, the sebum production is increased and creates an oily condition. Most teens go after this with harsh soaps and other treatments, which remove the beneficial microbial acid guard, thus making the skin prone to further infections. Coconut oil contains two of the most powerful microbial agents found in a food source. These are capric acid and lauric acid which are found in human breast milk and help protect babies from infections. When applied topically, the body’s chemistry converts these acids thereby replacing the protective acids on the skin. Consuming coconut oil has a similar effect from the inside. It is a rich source of vitamin E, which keeps skin healthy, helps with the proper function of the sebum glands and clears blockages. In this way coconut oil treats the cause of acne as well as the symptoms. There are particular components of coconut oil that keep hair strong, nourished, vitalized and protected from the effects of aging. One of the main reasons for loss of hair is microbial action on the hair roots and scalp. As stated above the capric and lauric acids have powerful antimicrobial properties, when broken down in the body. These, along with the naturally occurring vitamin E in coconut oil, results in a healthy hair and scalp when applied topically. Dandruff is another malady that can be treated with coconut oil. Apply topically on a regular basis and say goodbye to embarrassing and annoying dandruff flakes. Replacing other oils in your diet with coconut oil can be the basis of a weight loss program that is very effective. Due to the nature of medium-chain triglycerides found in coconut oil (see Is Coconut Oil Good for You? for an explanation of triglyceride chains), consuming coconut oil increases the body’s ability to absorb and use the fat in the oil. This improves energy levels and metabolism and acts as a natural appetite suppressant. The author read one man’s story of how he lost 36 lbs in a year just by changing exclusively to coconut oil for his fat consumption! Now that’s a weight loss program we can all get on board.